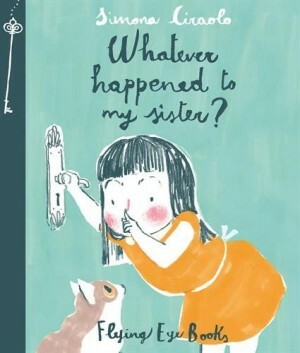 title: Whatever Happened To My Sister? I am a sister, a daughter of a sister, and a mother of sisters. My sister is almost six years older than me, so I experienced the huge gulf that happened when my sister became a teenager and I was still a little girl. Much of the time I’d say “I hate her!” but looking back at the photos, there’s lots of hugs and smiles. Now we’re a teeny (cough) bit older, I can’t imagine a time when I didn’t love her completely. My daughters only have a little over two years between them, so flit between loving the same things and playing together and seeming decades apart in their interests. With Posie being six and Bella almost nine, we’re fast approaching puberty and every day I’m amazed at how grown up Bella is looking. 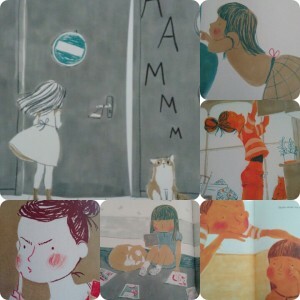 This change from little girl to almost adult is captured perfectly in Simona Ciraolo’s illustrations. The younger sister, and narrator of the story, is beautifully portrayed with that touch of puppy fat that young children have, while her sister has gained that litheness that appears in teenagerdom. The colour palette is soft and minimal, and beautifully effective. 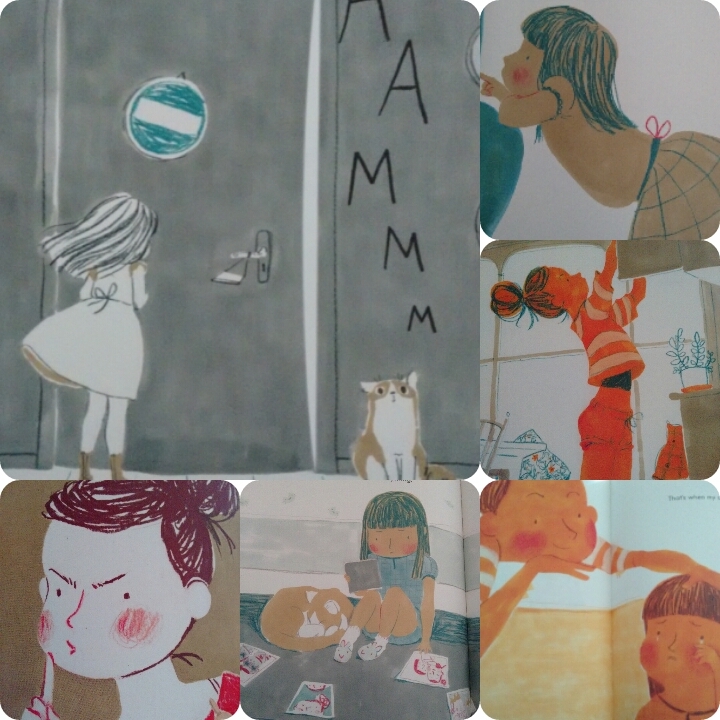 With a lightness of touch, Simona captures emotions on every page – confusion, anger, sadness, and happiness shine from the characters as the little sister investigates who has ‘replaced’ her sister. Whatever Happened to my Sister? captures growing up and sisterly love perfectly and beautifully. It’s a gorgeously made book, fit for gracing the book shelves of any sister, or anyone who appreciates beauty. One we read over and over, and discuss growing up and changes – or just appreciate the story.